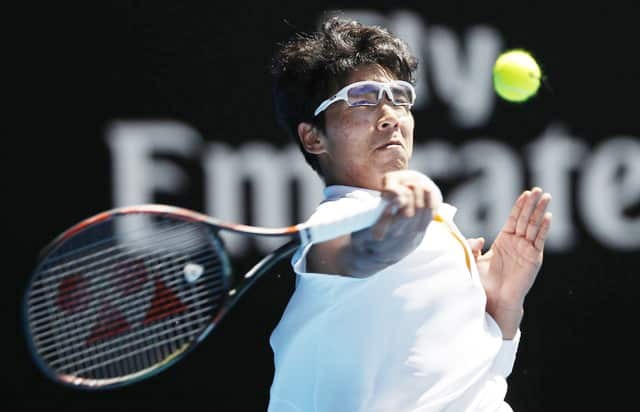 It is fair bet that few would have picked South Korean Chung Hyeon to be the player to break the dominance Roger Federer and the other members of the ‘Big Four’ have had at the Australian Open over the last 13 years. The 21-year-old has enjoyed an amazing run over the last two weeks and if he can get past Federer in Friday’s semi-final, it would ensure a final without the Swiss, Novak Djokovic, Andy Murray or Rafael Nadal for the first time since 2005. In fact, barring 2014 when Stan Wawrinka won the title, no player apart from the quartet has even been involved in the men’s final at Melbourne Park since 2008. With Marin Cilic beating Kyle Edmund in the other semi-final, that particular dominance has already been broken and Chung denying Federer a place in his 30th grand slam final remains a huge if. Defending his title as second seed, the 19-time grand slam has yet to give up a set as he has moved through the draw on his mission to match Djokovic’s professional era record of six Melbourne titles. Djokovic, albeit a Djokovic returning from six months on the sidelines, was world number 58 Chung’s most notable victim on his run to the last four and the manner of his victory caught even Federer’s attention. “I’m very excited to play Chung. I thought he played an incredible match against Novak,” the 36-year-old said. “I mean, to beat him here is one of the tough things to do in our sport, I believe. I know that Novak maybe wasn’t at 110 per cent, but he was all right. He was giving it a fight till the very end. To close it out, that was mighty impressive. “I think it’s an interesting match for me. I’ll definitely have to look into how I need to play against him because he has some great qualities, especially defensively, like Novak has. Although Chung won the Next Gen Finals last year, his meteoric rise to the top table of the tennis world is indicated by the fact that he will be bidding to become the first man in a decade to play his first tour final at a grand slam. His run through the tournament has stunned even him.